Yes our fur baby lacks in the hair department so one thing we wanted to do was make sure that she is warm at night and in the early mornings (dog coats/jackets only due so much for a short hair dog, or at least this one. So with the help from our friend Chad and with a few connections and lots of research we choose to purchase a Webasto Air Top 40/55 heater. This heater has a built in altitude adjuster and it also allows for cool air intake, it will pull cooler air from under the van (shaded area) into the van. You need to place ducting pipe in the floor, but it’s a great feature. The heater taps into the vehicles diesel gas tank and will only consume 1 gallon for every 20 hours of use. Fitting the heater was a bit harder than expected. Reason being, I had already built the van. An ideal placement for the heater is on the floor, so the exhaust piping can go straight through the floorboards, reducing the bends in the pipes (can’t exceed 270º). The ideal placement would have been in the lower level of our kitchen galley. But building a box and cutting floorboards seemed to be a waste. With only so many places left to run the exhaust and fuel lines (van being built out and open space within the vehicles underbelly), I chose to suspend the heater above the wheel-well. Webasto makes and sells and “L” bracket designed just for this purpose. Choosing this location meant I had to make a new wheel cover what could house the heater and allow for some extra storage, of items we wouldn’t use a lot, like snow/mud chains, vehicle jack etc. Keeping the heater enclosed is great as nothing can bang into it. The wheel well box also helps dampen the noise it makes when it initially starts and stops. Not that the heater is very loud, but it helps insulate the noise for sure. One thing I did was wrap the exhaust pipe with motorcycle exhaust wrapping. This helps reduce the heat on the pipe itself. Should anything come in contact with the pipe, or you accidentally touch it, you won’t burn your skin. Note…when you install the exhaust wrap and turn the heater on, the wrap will smoke/smolder for about 20 minutes. This is NORMAL, it’s just the oils from the fabric burning off. Once we let it run for 30 minutes and all smoke was cleared, we’ve NOT seen or smelt it since. Since we added the heater, we also wanted to up our house battery power. The existing situation was a 75amh deep cycle battery. Nothing fancy, just a blue collar battery that got the job done and done right. After chatting with Chad and working off his deep knowledge of electrical, I took the leap and bought a 125amh Lithium Battery. We bought the battery from Stark Power, based in NC. They were nice to deal with minus a few misleading bits of info regarding the actual ship date of the battery, but overall great CS. What we waited an extra two weeks for. To ensure that we don’t overcharge the lithium battery when the car’s alternator is in use charging the battery, Chad and I (really chad…all his knowledge and wiring knowhow), included two relay cut-offs, one for the solar panel and the other for the Alternator. The Alternator relay is designed to kick on and off at set points. When the battery is 50% depleted, it turns on. When the battery is charged to 85% it turns off. All of this is controlled from the battery monitor, which tells me the temperature of the battery (don’t want to charge it when the core temp of the battery is below freezing..good thing we’re chasing summer), the current voltage of the battery, the Amp Hours being used and replenished as well as the current hours left based on power draws. The monitor wasn’t a cheap investment. But the piece of mind it brings was worth it. 3) Where do you store all that stuff? One of the bigger debates Pamela and I had was to rocketbox or not to rocketbox. In the end, the phrase “happy wife, happy life” won. So we now have a Thule rocketbox on the roof. Choosing one wasn’t as easy as I wanted. Reasoning for this is the orientation of our solar panel. The solar panel was initially installed in the center of the van’s roof. Yes I could let the box overhang on the van’s side a bit, but I’m not a big fan of that. After a good two days of researching online and climbing up and down the van’s ladder to measure distances around the solar panel and possible overhang, I ended up purchasing the Thule Force Alpine from our friend at Rockymounts, based in Boulder. Installing the box wasn’t as easy as Chad or I had thought. We moved the solar panel towards the passenger side, a good 6” and we had to also figure out a way to create a roof brace that the box would sit on. I wasn’t able to find any OEM’s making roof rail brackets that fit around/under a Fiamma awning. Within the Sprinter Van world, there is someone who makes such a bracket. It’s intended use is for solar panels, but I needed it for the rocket box. After more measuring and brainstorming, I ordered the solar panel roof braces from Hines and also some 80/20 (lightweight and easily configurable like legos) which would be used as the cross bars. The length of the rocket box was spot-on, getting enough clearance on the ends of the solar panel, BUT the factory attachment points were a bit off. So I fabricated additional support bars out of ¼” 80/20 for the middle of the box, and with additional ¼” 80/20, I attached the front and rear ends of the rocket box to the cross bars! BAM…i’ve got a homemade crossbar system that fits under a Fiamma awning. Happy to make this into a business…but I just gave away the formula…LOL. Getting the box to fit was close. The solar panel couldn’t be re-oriented horizontally due to it’s size (160watts vs. 100watts). So in moving the panel over and NOT wanting to drill holes in the ceiling, I found some roof brackets on Amazon that did the trick. How does one attach the relocated panel? VHB Tape is the answer. This is magical tape from 3M. It’s very hard to locate at a chain hardware store, but a local store might carry it. Luckily for me, our local hardware store, McGuckin’s, carries just about one of anything ever created. The tape can withstand monumental stress and creates a great bond on metal, plastics, rubbers, steel etc. Not so great on wood, but great on 99% of anything. So VHB was used to secure the relocated panel into place. So far, 1 month in and over 5,000 miles, it’s holding strong. Now…Do we need the extra space to store more stuff…This remains to be the question we ask ourself as we’re 1 month into the journey. We’ve yet to really use it, as we have clothing in there for Fall weather riding and extra Skratch Labs and Untapped Maple products + spare bike parts like chains, tubes etc. I guess the rocket box is handy, but it’s not essential that’s for sure. Either way…Happy Wife = Happy Life = Life on the road. Note…If you’re putting in a rocket box or plan to be using the roof of your van for any reason, it’s a good idea to mark where the seams are. These are the strongest points of the van which you really want to step on, allowing for little flex in the ceiling. Not that you’d fall in, but it helps reduce dents in the roof and minimizes stress on all the work you did for the inside/ceiling. One thing that you quickly notice inside a van is that there seems to be lots of wasted space. One key spot is in the cab, above the driver and passenger. This is especially true for those in a high roof vehicle. Knowing that we’re on a year long wanderlust trip we wanted to ensure that every possible area of space could be created. The solution we found was a great half height shelf made by RB Components. They also make a “full” shelf system, but this really reduces the height above your heads. Yes it allows for greater storage above for bulky items, but that wasn’t our desire. So we choose the half shelf system which allowed for semi-bulky items to be stored like camera gear, Trigger Point foam roller, equipment manuals and such. Note: You can easily make a shelf out of plywood and some fabric wrap. This would cost you about $35-$50 based on your desired level of fit and finish. A friend of ours built a shelf after seeing the one we bought from RB. I would have built one if I had more time, but we also liked the fit and finish of the metal one. A very minor upgrade, or change, but one that has made a comfortable difference, was removing the bench seat brackets from the floor. I pulled these out last minute and fashioned a filler out of plywood and VHB Tape (my new favorite van item). These fillers removed the little pump we had in our carpet floor cover and it also is nicer underfoot. The little filler pieces are easily removable and inserted. They just wedge under the factory floorboard and stay in place due to the carpet covering it and the VHB tape used to hold them into place. VHB Tape and leftover wood equals the perfect bracket filler. All the best with your build and modifications based on trial and error. I hope these pieces of info are helpful to you and others you know who are going down the rabbit hole of wanting to build your own tiny house on wheels. 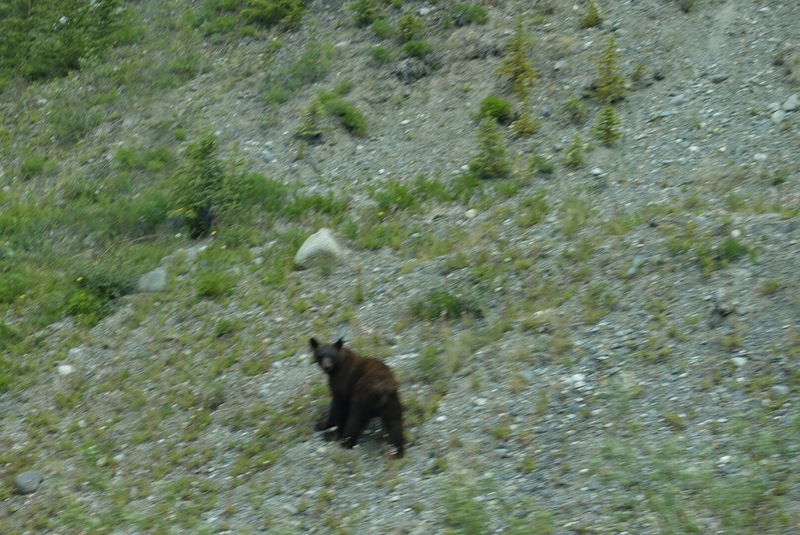 If you have any questions feel free to leave them and I’ll get back to as soon as cell coverage and wifi permit. 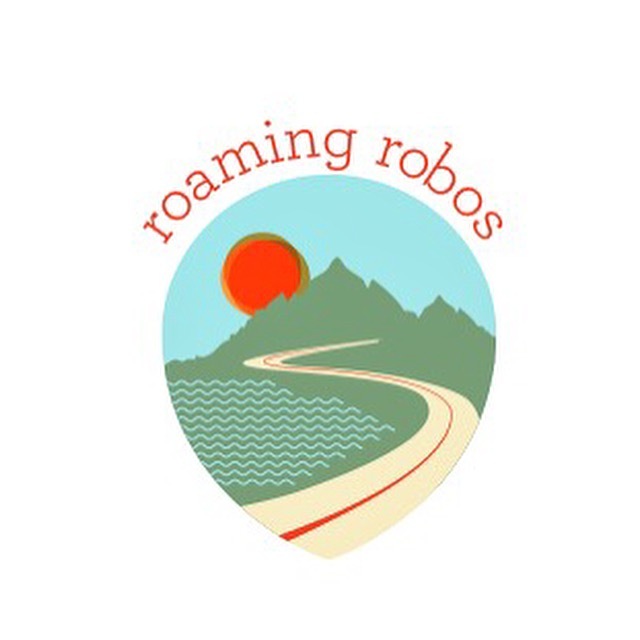 Also follow our IG account at @RoamingRobos for more details and insight of our year long adventure.